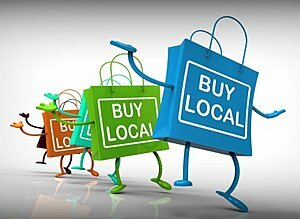 Local business optimization is a relatively new concept but it is the most important concept for businesses that need local audience. Since local business optimization was so important WEBIZ could not overlook it within its services. WEBIZ provides its local SEO services to any business in any part of the world but our local SEO services in Calgary are our highlight. We are aware of this place and there is no need for you to go elsewhere to get local business optimization done for your website. You must know here that local SEO is meant to improve your website’s ranking locally. When people are looking for a service for which they need to visit the business they prefer local searches i.e. businesses that are located near them. Optimizing your website for these people is called local business optimization. WEBIZ achieves this by using the most effective methods of improving your website’s ranking for local searches. Our guaranteed SEO services are targeted at making your website appear in local searches by creating your local page on Google, taking care of all citations and ensuring that your local page is optimized in all possible ways to appear in local searches. The more your business is visible to local audience the more reviews you will get. Higher review count means higher ranking. After consistently citing your local business and using the right keywords on your website and locally listed page your visitors will be able to see your company’s location on Google map, company’s contact number and working hours in their search results. Your ad is then too compelling for visitors to ignore and look at any other result on the page. However, discovering local directories to have your business cited and registered is quite a task but WEBIZ is at it. Benefit from our cost effective SEO solutions and we’ll make sure to give your business website the push it needs to be on top of all local search results performed by your own people. This in turn will increase your website traffic, boost your sales and conversions and popularize your business in your country and local region.